Anyone planning to take to the roads during the coming Easter Bank Holiday weekend should factor in some time to check their tyres are properly inflated. 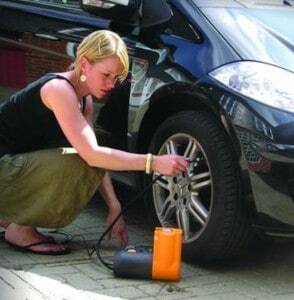 This is the recommendation of UK vehicle safety specialist TyreSafe, with the body arguing that poorly inflated tyres can not only lead to a reduction in fuel efficiency, but can also pose a risk to health. Stuart Jackson, chairman of TyreSafe, said: "The results of driving with underinflated tyres not only increase risks for the vehicle's occupants but also the safety of all other road users around them. "Arriving safely should be every driver's ambition, especially when carrying their family, and by carrying out a few tyre checks in a matter of minutes before setting off, motorists can easily reduce their road risks this Easter and can reduce their motoring costs." He added that ensuring tyre safety should be a regular part of all drivers' car maintenance routines – check the pressures, carry out visual inspections for excessive wear and tear, and be on the lookout for rips or bulges in the tyre that could denote a fault. To find out the correct tyre pressures for any vehicle, drivers should consult their handbook, or alternatively head online to examine the manufacturer's literature for their specific make and model.